Simply, to enhance trade and competitiveness, terminal operators must innovatively enhance offerings and standards, both efficiently and economically. This resonates with our aim at MICT- to be 'an engine of growth for the economy and business' by providing world class integrated logistics solutions, as well as terminal infrastructure development and operations. It is our constant endeavour to evolve and change our approach and do things differently, all with the ultimate goal of bringing the best value to our customers at large. 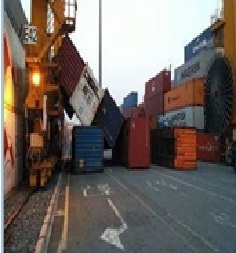 Container toppling during the RTG crane operation is one of the most common and high severity incidents in Container Terminal Industry. Container toppling from RTG may result in fatality of people working under the span of the crane and also results in heavy property damage to the customer’s cargo and the crane itself. It is a big challenge for the industry as every container terminal in India and overseas has similar incidents happening in their facility. 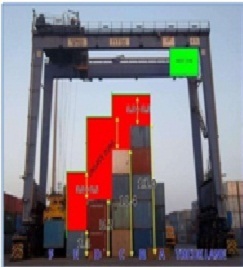 Investigations revealed that while trolley reverse operation, operator do not have vision of the rear stack and the human error on the part of RTG operator in misjudging the safe height leads to container topple from the stack. Stack Profiling options available in the market was costing around 50,000 USD (INR 25-30 lakhs). Engineering team at MICT took the onus on themselves for making an in-house economically viable engineering solution. Various options ranging from PLC modifications to laser sensors were tried and finally an in-house “stack profiling system” was developed at 5 % the cost of options available in the market. Going forward the in-house stack profiling system can be replicated globally in more than 60 DP World container Terminals. A laser sensor was installed under the operator cabin which was linked with crane’s PLC. 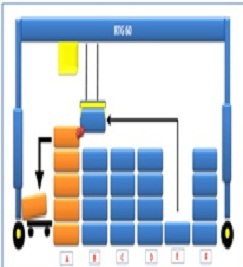 During the forward trolley movement, the PLC maps the container stack. During the reverse trolley movement, the PLC allows the movement only in the case when the container is lifted to the safe height. Stack Profiling system fitted on 18 RTGs. 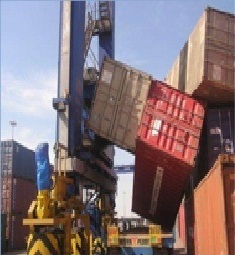 • This system prevents toppling of container in the container stack as result accident damage cost is minimize to zero. 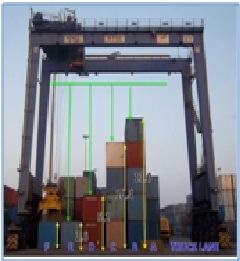 • Increased productivity: operator will be able to take parabolic or optimal path to the target location at safe heights above the container stack and reduction in fuel consumption litre/move. • Reduced operating noise level by creating slow down envelope around the spreader by limiting trolley speed as required to prevent hard contact during operation.